Combining style and functionality once again Apple delights its numerous clients with the arrival of the next technological masterpiece – the iPhone 6 Plus. As expected, the new smartphone is a proud follower of the Apple iPhone family – with its elegant design offered in space grey and lively interface, the iPhone 6 Plus is made for users who demand excellence in mobile communication and technology. Moreover, with the impressive 5.5-Inch Retina HD Display the device allows you to enjoy a great visual experience and stunning graphics. Together with the 8 Megapixel iSight Camera and 1.2 Megapixel FaceTime Camera, which feature 1080p and 720p video recording, improved face detecting and sapphire crystal lens cover you will be able to capture all your precious moments and store pictures and videos on the 64 GB internal memory space provided by Apple. 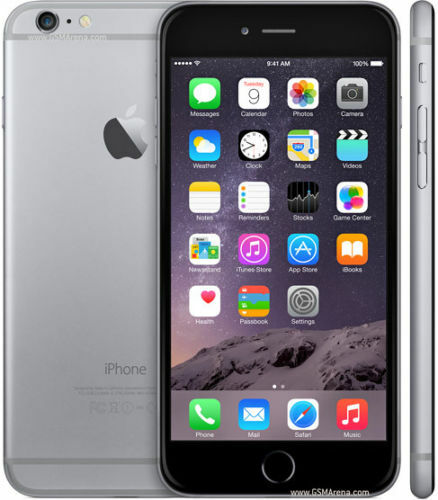 The iPhone 6 Plus smartphone runs on the compelling iOS 8 and is powered by Apple A8 processor, both forming a great combination of technical quality allowing you to run applications even faster than before. In addition, the Apple iPhone supports more advanced wireless technologies and has up to 20 LTE bands letting you browse the Web, stream videos, shop online, and interact with friends no matter where you are. Explore the modern needs in mobile technology and enjoy the excellence in quality as part of the Apple family with the Apple iPhone 6 Plus smartphone.